The Wolverines, who haven’t lost since the season opener against No. 3 Notre Dame, would have to beat the Buckeyes for just the second time in 15 years to keep any hope at a national title alive. It might take a miracle for Rutgers to beat Michigan, but the Wolverines (48½-point favorites) also don’t want to mess around and play a close game against one of the worst teams in FBS. 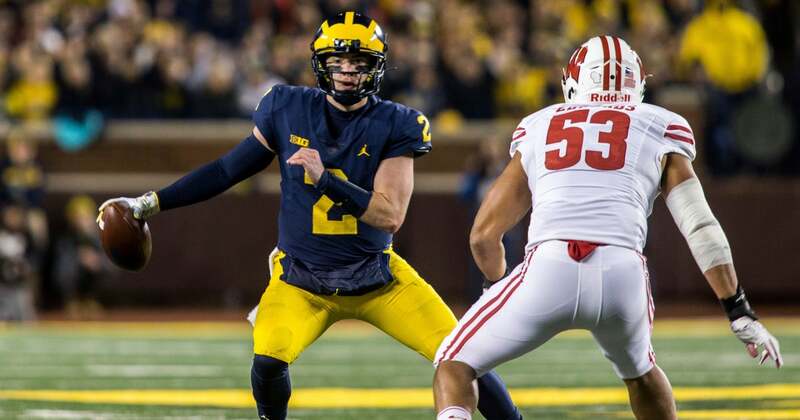 Not bad, but consider Michigan probably could have hit that scoring mark against Rutgers the last time it traveled to Jersey: the Wolverines humiliated Rutgers 78-0 and the fear around Piscataway is that it could happen again. Michigan had nine rushing touchdowns and 600 total yards (vs. 39 for Rutgers) in the rout and Harbaugh leads an even better, dangerous team into town this season. It’s the rest of the game of football that gives Rutgers fits. The Scarlet Knights are 128th in total offense and 82nd in total defense out of the 130 FBS teams. Rutgers will host a top-five opponent for the 13th time in program history. The Scarlet Knights haven’t beat a ranked team since a win over No. 23 USF in 2009.